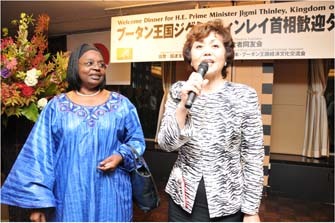 Last year, Change of Government was performed from the Liberal Democratic Party to Democratic Party. 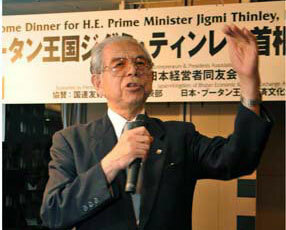 It is more than 50 years since the last change of government in Japan. 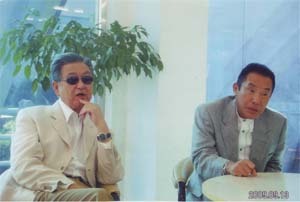 In Japan, change of government was performed from the Liberal Democratic Party Administration for 50 rest of life to the Democratic Party Administration. The new government makes "politics to keep the life of the nation" as slogan and announces the various economic measure. In postwar Japan, all workers built prosperity of current Japan by great effort and labor. 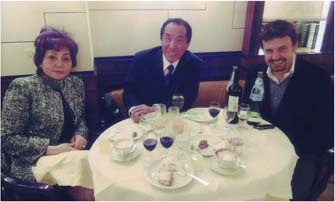 In a current global economic crisis, the Japanese medium and small-sized business faces the life and death of the company. We believe it would be important medium and small-sized businesses to launch into overseas market as well. We would like to continue supporting these activities. We wish you for Happy and Prosperous New Year 2010. 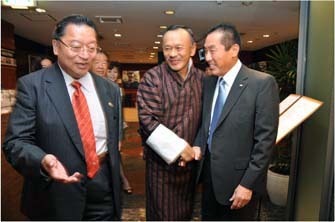 In September 2090, Welcome Dinner for H.E.Prime Minister of Kingdom of Bhutan Jigmi Thinley hosted by JEPA and supported by Friends of the United Nations and Japan/Kingdom of Bhutan Economic & Cultural Exchange Association was held at the Foreign Correspondents’ Club of Japan Bldg. 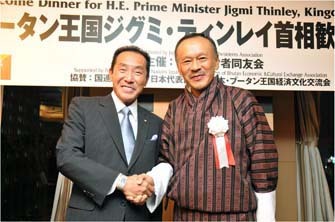 It was the first time to visit to Japan as the Prime Minister for Mr. Jigmi Thinley. In his speech H.E. Prime Minister stated as his ambition that all of the family in Bhutan became to be able to use electricity during his holding the office. Also, he stated that he wanted to let at least 2 ambulances to be resident in all prefectures in Bhutan. All of the attendant that evening was touched by the difference of Japan and Bhutan and charmed, at the same time, with the straightness and simple personality of this New Prime Minister. “Olympic Game is a festivity of sports dedicated to Zeus and the Delphic Games is a festivity of arts dedicated to Apollo”. 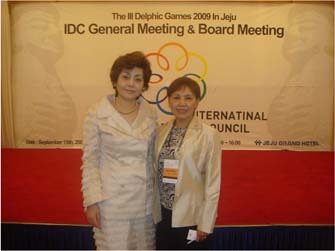 From September 9 to 15, 2090 the III Delphic Game was held in Jeju, Korea. 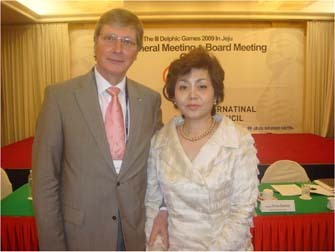 JEPA Boards were invited and attend the event as advisor. 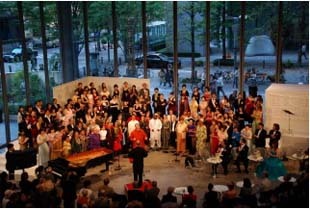 The competition parted in two fields of arts as Performing Arts and Music & Acoustic Arts. 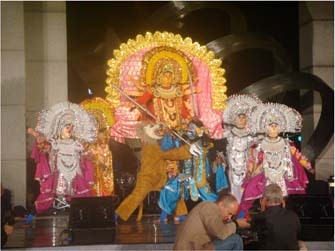 All of the participants to the competition competed for completeness of each art. 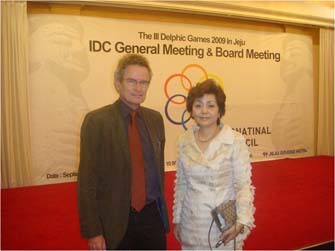 Chairman Shimoji is requested by the International Delphic Council for the assumption of office. 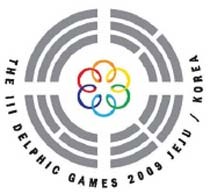 The IV Delphic Games is scheduled to be held in 2013. 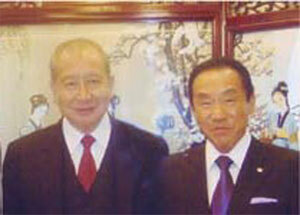 In October 2009, Chairman Shimoji visited HK to meet Sir D. Li, Chairman and CEO of The Bank of East Asia in HK. This time member of JEPA joined the meeting on private banking and wealth management plan of the bank. 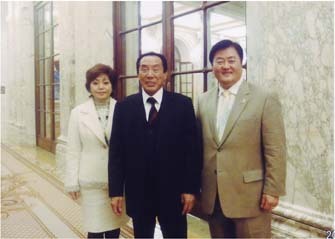 In November 2090, JEPA Board visited NY and Washington DC. 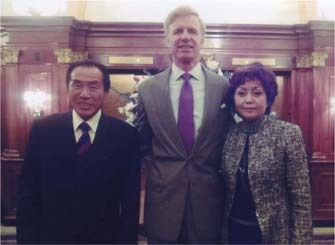 In NY, party met with Dr. Brown, CEO of the Friends of the United Nations to talk about the activity of FOTUN. In Washington DC, party visited Mr. Ryan at his office at ABC Bldg. 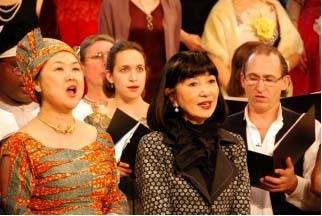 In October 2009, UN Singers performed in Japan. 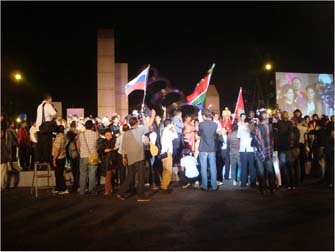 UN Singers aim to spread the UN message of friendship and understanding among people. 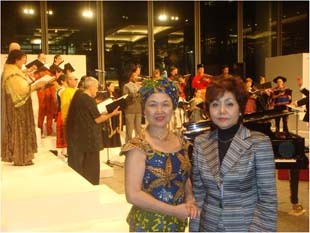 While performing in Tokyo, First Lady, Mrs. Hatoyama, participated and sang together with UN Singers. Thank your support everyone, Thank you very much indeed. 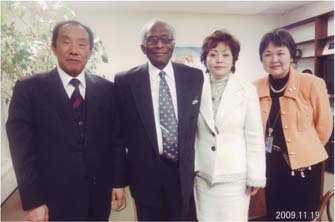 I thank thicker than JEPA and Friends of the United Nations Japan .